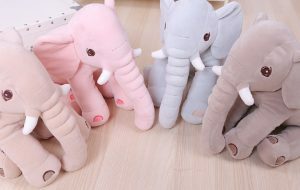 FEATURE The upgraded fabric elasticity is increased by 80%, and the elasticity is enhanced to make the shape more cute. 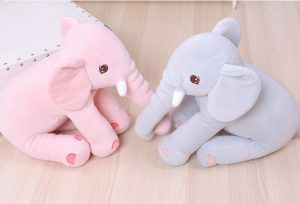 When the cuddle is pressed, the use is more difficult to deform, and the shape rebound is more natural. 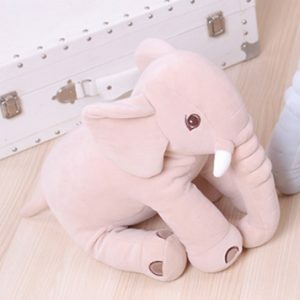 The touch seems to bring vitality to the elephant, and it does not shed hair. Does not fade, does not deform. Tightly electrospun eyes, large leather nose. The mighty ivory layer has a long, curved nose. Draw a small ankle and fill it up. Playful little tail, skin-friendly and stress-free. I am me, not me soft.